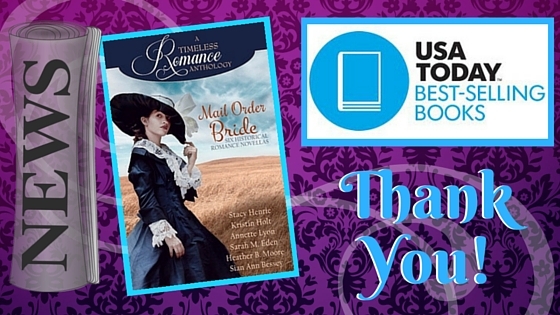 Thank you, to every reader who purchased a copy, told a friend about this title, forwarded a Facebook announcement, reTweeted, promoted by any means… Because without YOU, readers, this success never would have happened. 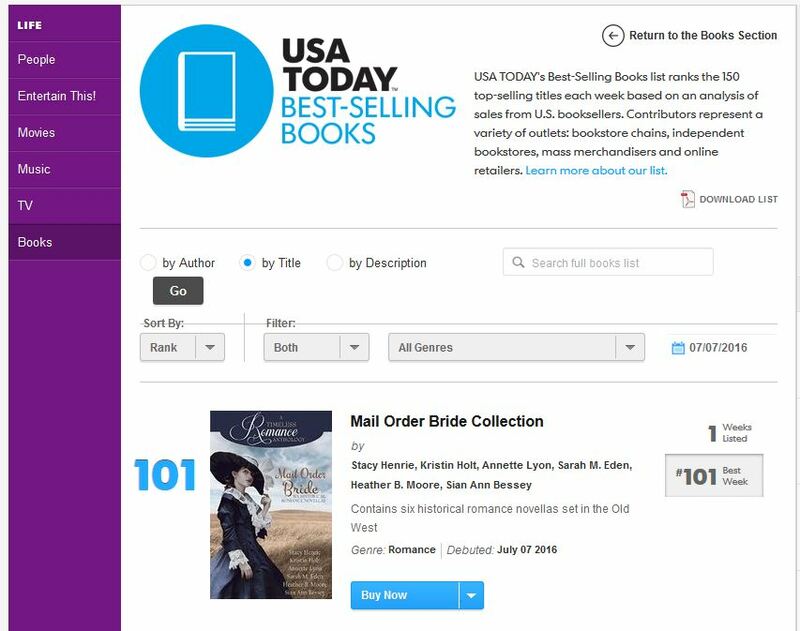 Today, July 7, 2016, Mail Order Bride: A Timeless Romance Anthology, published by Mirror Press, debuted on the USA Today Bests-selling Books List at #101. Six authors contributed novellas set in the Old West to this anthology: Stacy Henrie, Kristin Holt, Annette Lyon, Sarah M. Eden, Heather B. Moore, and Sian Ann Bessey.